Infographics have come a long way. The number of available infographics and images online are increasing by 1 percent every single day. 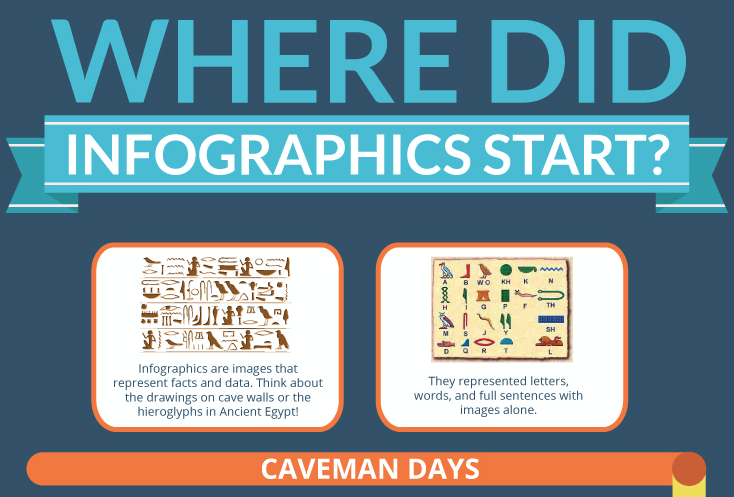 But where did infographics come from and how did they get to be so popular? 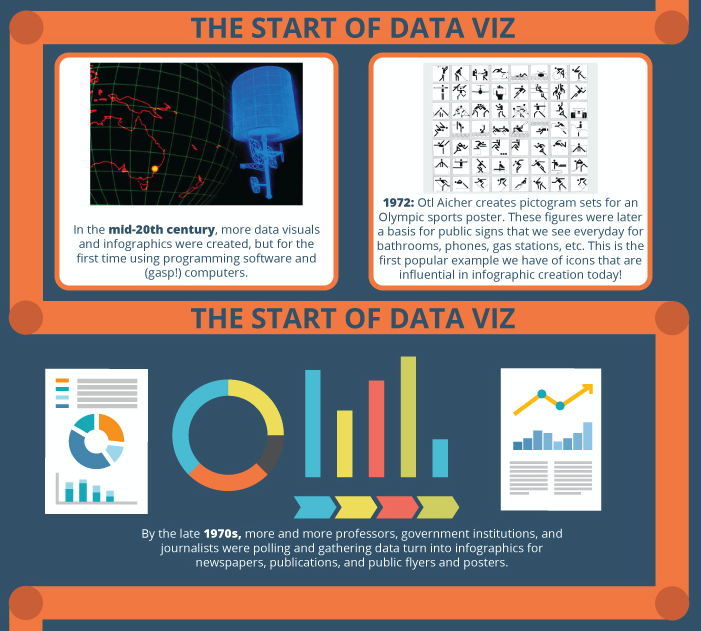 Infographics, by definition, mean images that share information in visual ways. When you break it down like that, so many pieces in our history actually qualify as infographics. Let’s take a little trip back in time, shall we? Infographics are images that represent facts and data. Think about the drawings on cave walls or the hieroglyphs in Ancient Egypt! They represented letters, words, and full sentences with images alone. The 1600s were a time for cartographers – map makers – to put the world into detailed, visual layout. It was also a time for icons and objects to be used to identify locations. 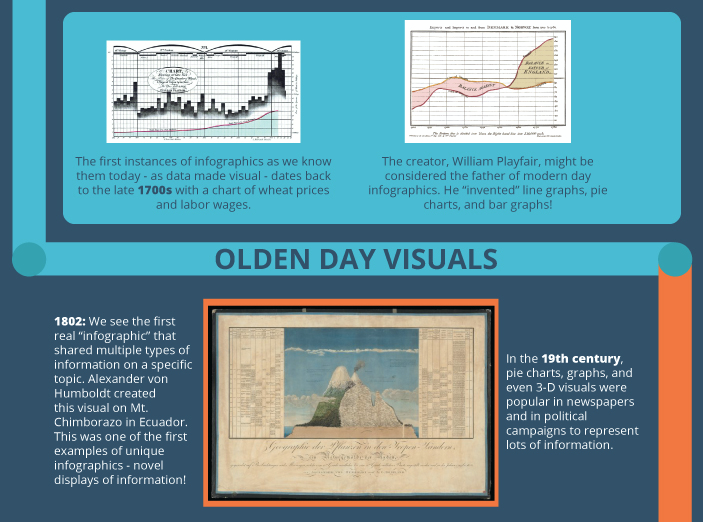 The first instances of infographics as we know them today – as data made visual – dates back to the late 1700s with a chart of wheat prices and labor wages. The creator, William Playfair, might be considered the father of modern day infographics. He “invented” line graphs, pie charts, and bar graphs! 1802: We see the first real “infographic” that shared multiple types of information on a specific topic. Alexander von Humboldt created this visual on Mt. Chimborazo in Ecuador. This was one of the first examples of unique infographics – novel displays of information! In the 19th century, pie charts, graphs, and even 3-D visuals were popular in newspapers and in political campaigns to represent lots of information. In the mid-20th century, more data visuals and infographics were created, but for the first time using programming software and (gasp!) computers. 1972: Otl Aicher creates pictogram sets for an Olympic sports poster. These figures were later a basis for public signs that we see everyday for bathrooms, phones, gas stations, etc. This is the first popular example we have of icons that are influential in infographic creation today! By the last 1970s, more and more professors, government institutions, and journalists were polling and gathering data turn into infographics for newspapers, publications, and public flyers and posters. And then there was Edward Tufte. In 1982, he published The Visual Display of Quantitative Information while teaching at Princeton University. He’s considered the “Father of Data Visualization” because he talks extensively about the need to visually represent data and the importance of data and information collection. “Chart Junk” – Tufte’s term for icons, layouts, or text that clutters up the image and distracts from the information. 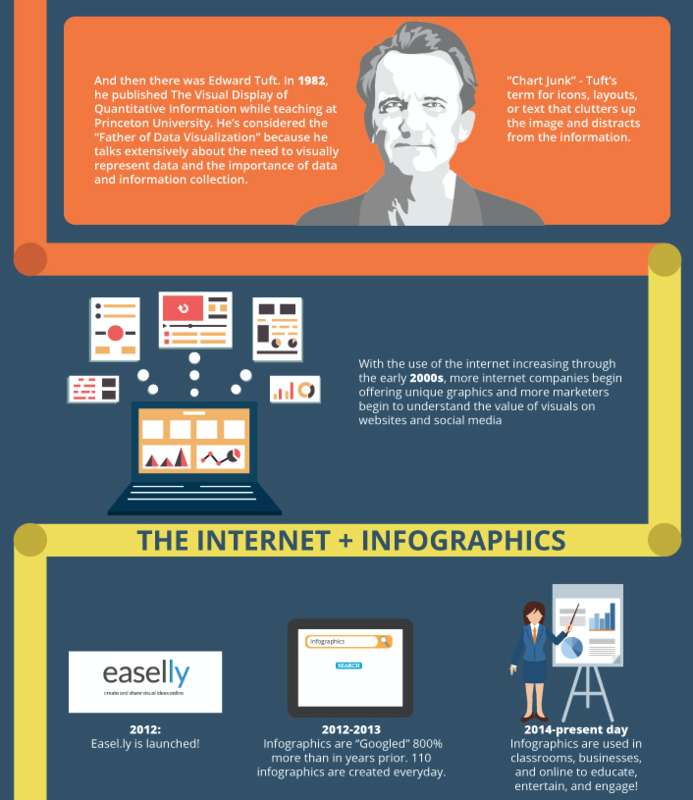 2012: Easelly, a simple infographic maker tool, is launched! 2012-2013 Infographics are “Googled” 800% more than in years prior. 110 infographics are created every day. 2014-present day Infographics are used in classrooms and businesses to educate, entertain, and engage! Infographics increase learning upwards of 400% thanks to visuals. For online businesses, infographics can increase conversions over 12 percent. Images speak to the emotional centers of the brain. Our eyes jump straight for images! In a content-overwhelmed world, people look for the most relevant image first. Want to use the full infographic? Feel free to download it! We’d really appreciate a quick note on attribution or link to this blog post though. It’s your turn to make history and share your stories, ideas, and insights through infographics! You can either start with our simple infographic maker tool or hire a professional data visualization designer if you’re pressed for time! *Editor’s Note: This blog post was updated on April 10, 2019 for accuracy and comprehensiveness. It was originally published on February 20, 2017. P.S. We might do a separate blog post on Joseph Minard! You have mis-spelled Tufte’s name, and also failed to make any mention of Joseph Minard, whose graphic of Napoleon’s march on Moscow Tufte has said ‘may well be the best statistical graphic ever drawn’ The assertion that Aicher’s olympic symbols are ‘the first popular example we have of icons that are influential in infographic creation today!’ is unfounded, and ignores the far more significant and earlier contribution of Otto Neurath . I’m concerned to find errors and omissions of this kind in a document supposedly directed toward students. Webinar Recap! 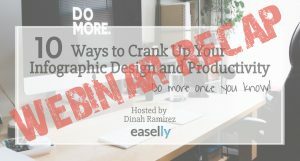 10 Ways to Crank Up Your Infographic Design & Productivity! Business, Case Studies, Marketing February 21, 2019 Kai T.
New Feature, Product Update February 6, 2019 Kai T.